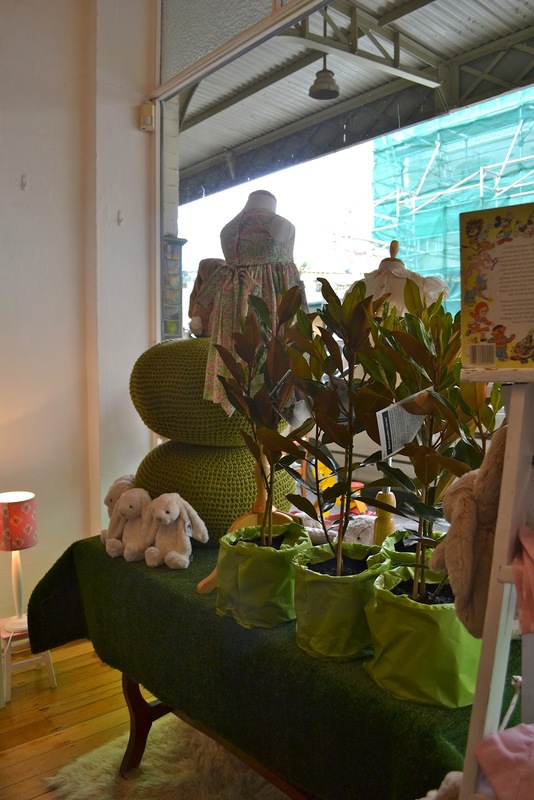 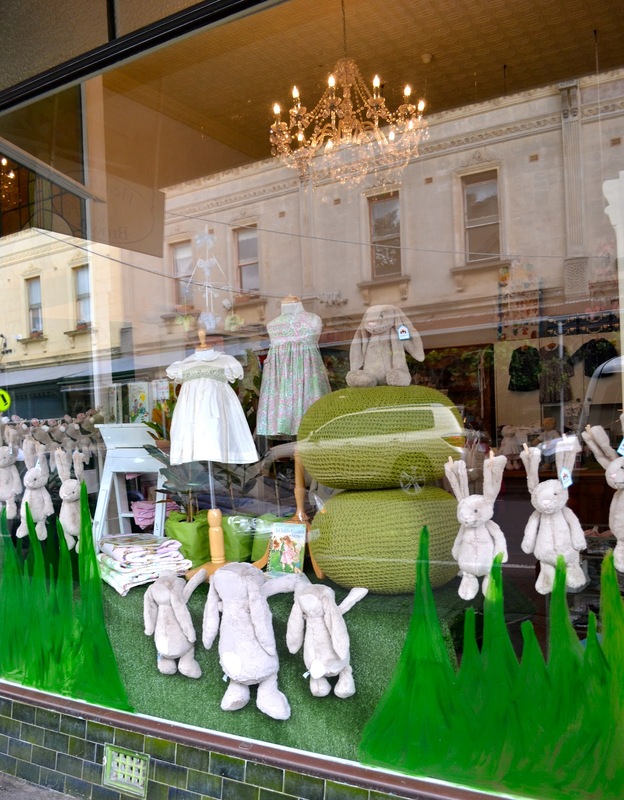 It's bunnies galore this week at Heather Brown Baby with Easter just around the corner, so what better inspiration than a magical bunny forest for the kiddies... 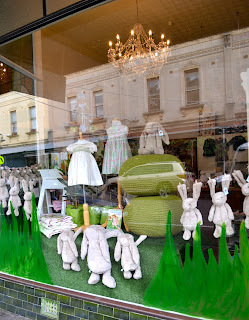 I delighted in creating a little emerald green oasis for these munchkin bunnies (which, were multiplying whilst i was there, i'm sure....) with a bit of paint, astro turf, pots of Little Gem trees and my "mossy rocks" :-) All framing some gorgeous little girl's smocked dresses, then dotted around some vintage Golden Books (bunny/garden themed of course!) and voila! 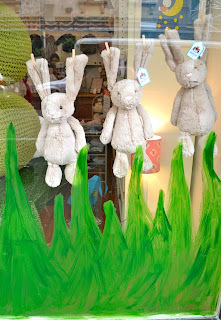 a "Magical Bunny Forest" was born. 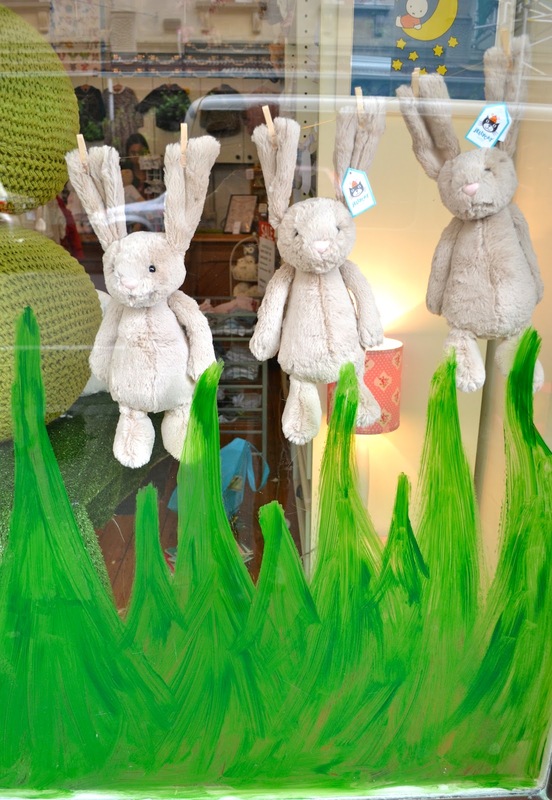 **No bunnies were harmed in the creation of this window display, I promise!